BioInvest IsraelTM 2012, is the international Gathering of the Investment & Corporate Communities with the Israeli Life Sciences industry. Organized in response to the growing demand for an efficient healthcare partnering forum where investors , Medtech and Biopharma companies can meet to talk business. BioInvest Israel 2012 provides private and public Medtech & Biopharma companies the opportunity to present and partner with an audience of investors and business development executives from Israel and abroad. In today's challenging market the Israeli Medtech & Biopharma industries are becoming ever more attractive to global companies and investors looking for successful ventures, Technologies, IP trade , Mergers , Acquisition, Investments or Exit opportunities that will increase the value of their firms. The 59th Annual conference of the Israel Heart Society in association with the Israel Society of Cardiothoracic Surgery are especially proud to host this year's distinguished, world-renowned international guest speakers from the European Society of Cardiology, the American College of Cardiology, The Canadian Cardiovascular Society, AFICARDIO (French-Israeli Association in Cardiology) and a guest Speaker of Cardiothoracic Surgery. 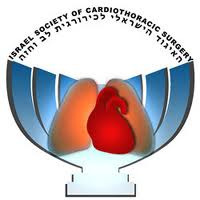 The 2012 conference will include plenary joint sessions of the Israel Heart Society with the European Society of Cardiology and the American College of Cardiology. These will include state-of-the-art lectures on the latest advances in cardiology including heart failure challenges in Europe, the implementation of the "Heart Team", novel valvular therapies, heart diseases in women, and novel anti-thrombotic therapies in acute coronary syndromes. We will also continue the tradition of a joint session with AFICARDIO, the French-Israeli Association of Cardiology. IIHC 2012 is where the most creative innovators meet investors in healthcare as well as representatives of well established healthcare enterprises. Regulators and payors will give an indication of what they will need and reimburse in the future. IIHC 2012 looks into the future of healthcare from the viewpoint of the various participants: VCs and financiers, health authorities, providers of IT solutions, public and private insurance organizations, policy makers, medtech, pharma and biotech companies, hospitals and other medical providers, academics, service providers and many more will talk about their plans to tackle the challenges of healthcare. We are looking forward to two days of extraordinary insights into the future of healthcare and fruitful networking to initiate future partnering initiatives! הכנס המוביל לפיתוח אלקטרוניקה רפואית ייערך במסגרת תערוכת ניו-טק 2012 התערוכה המובילה לענף ההיי-טק והאלקטרוניקה. בתערוכה יציגו עשרות חברות ייצרנים ונותני שרותים לענף האלקטרוניקה הרפואית. הכנס יעסוק בפיתוח מכשור רפואי, רכיבים בתקנים לתחום הרפואי, ציוד בדיקה ומכשור רפואי, טכנולוגיות חדשות ומתפתחות ועוד. את הוועידה ילווה רב שיח בנושאי פיתוח, בנושא ליווי פיננסי של חברות ההזנק, השקעות מול סיכונים ועוד. EAS 2012, the 80th European Atherosclerosis Society Congress, offers an exciting combination of high-level scientific learning from world experts with a chance to experience the cultural hub of Milan. With plenty of time for networking, participants at this specialised atherosclerosis congress will receive the latest updates on the complex and multifactorial pathogenesis of atherosclerosis. Join us at Milan’s new and ultra-modern Milano Convention Centre, rated among the largest conference facilities in Europe and worldwide. EuroMedtech™ is Europe's leading medical technology partnering conference, providing collaboration opportunities to medtech decision makers and investors. EuroMedtech caters to companies involved in all parts of the advanced medical technology industry, from those serving mainline therapeutic categories such as orthopedics and cardiovascular, through diagnostics, imaging and eHealth to those involved in platform technologies such as biomaterials and regenerative medicine. Also attending are companies serving the industry, such as manufacturers, law firms, CROs and distributors. Israel is a world leader in the development, design and production of innovative medical devices, tools and systems, which require in-depth, multidisciplinary understanding and technological know-how. Israel is known for its vast R&D initiatives in this field, both in industry and academic institutions. Medical Devices & Instrumentation Israel exhibition and conference is the major, and in fact the only showcase for electronic development, outsourcing and service provision for companies that design and manufacture medical equipment, from start-ups to medical equipment giants. The objective of the exhibition is to provide decision makers from medical device companies a venue in which to meet diverse potential partners or suppliers from relevant fields and enable them to explore which companies best suit their needs. The exhibition will also provide small service providers an opportunity to introduce their skills and experience, which are often the most suitable for the development of a product targeted specifically for the medical device market.